Following the award-winning Hitman GO, Square Enix Montréal brings yet another beloved franchise to mobile with this unique take on the iconic heroine’s adventures. 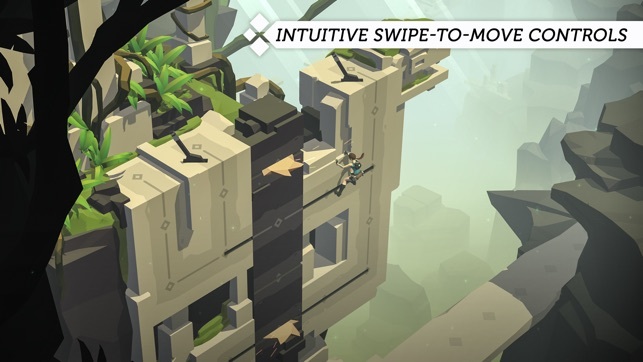 Lara Croft GO is not compatible with the iPhone 4. 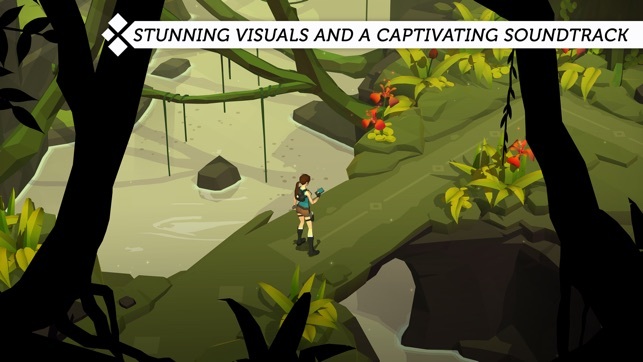 Thank you for playing Lara Croft GO! Let us know what you like and what we can do even better at forums.eu.square-enix.com, Twitter or at support.eu.square-enix.com. 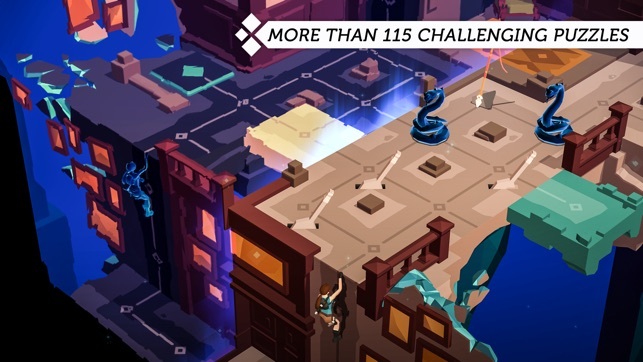 In reimagining the classic Tomb Raider games, Square Enix built a turn-based puzzler that’s both true to its roots and completely fresh. This Apple Design Award winner pairs a gorgeous art style with super-fun gameplay where you avoid traps and collect relics. 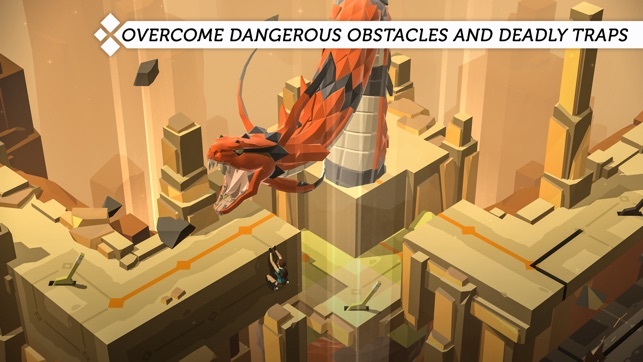 The experience feels so perfect for iOS, it was also our 2015 iPhone Game of the Year. The puzzles are amazing! Some are hard and some are not so bad! Don’t get me wrong, the game is fun and it still deserves 5 stars. My only problem is with it it the controls. First of all, I love how there are no on screen controls so none of your content is covered. My only problem is how the controls function. The controls revolve around swiping the move left right forwards or backwards. That sounds like a good concept, but that’s where the problem lays. When you swipe, you only move a set distance. So when you move in a straight line you find yourself constantly swiping in the same direction. This type of control makes the walking motion look very unsmooth. 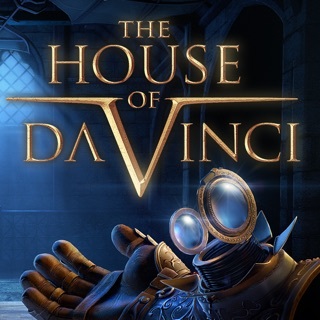 Overall, I definitely recommend the game because the puzzles are very fun and some are challenging. Props to the creators I just wish the controls were different. Coming from the original game, playing the “GO” version will obviously not get you what you expected. There’s a bunch of reviews expressing dissatisfaction because of this. These are puzzle games; they take a certain combination of thought processes spanning both right and left brain. Addictive isn’t quite the word; for something to be addictive it requires that you must have more and more of it for the same effect, and produces an undesirable effect in ones life. MtG cardboard crack is addictive. This game is more of a tool for your brain like a composer is to an orchestra. Using one mode of thought to search for hidden objects, another to put the logic together building your path and yet another to find a creative solution, your brain is effectively exercised along the way and reward centers of your brain light up - a dopamine hit I haven’t gotten in years. But there aren’t the drawbacks here as with the original Tomb Raider; where poor timing on a tedious task, failed for the thousandth time sent a PS one controller flying across the room in frustration. 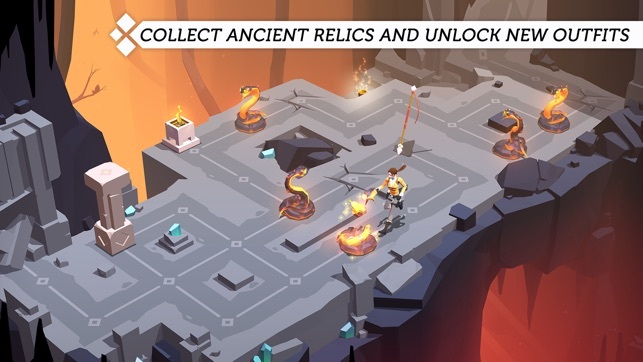 ©2015 SQUARE ENIX LTD. LARA CROFT and LARA CROFT GO are trademarks of Square Enix Limited. SQUARE ENIX and the SQUARE ENIX logo are trademarks of Square Enix Holdings Co., Ltd.